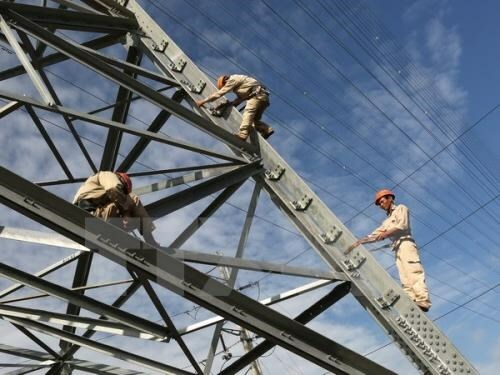 Hanoi (VNA) – All sources of funding, including state and local government budgets and the public, should be mobilised to maintain power supply for new-style rural areas, according to the Electricity of Vietnam’s Southern Power Corporation (EVN SPC). Last year, the Prime Minister issued a decision to define criteria for new-style rural areas in 2016-2020, requiring qualified communes to meet rural development standards for planning, transportation, irrigation, electricity, health care-culture-education, production, environment, security-social order and more. Big investment is needed to develop rural power networks in areas having met standards for electricity, the corporation said, adding that it will be very challenging for the corporation to raise the funds. The corporation’s capital for construction is limited so it can only afford to renovate existing networks and build new main lines to improve safety.